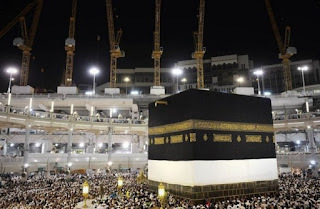 An Abuja-based Islamic scholar, Sheikh Yahya Al-Yolawi, has advised intending pilgrims to settle their debts and leave their wills behind before travelling to Saudi Arabia. Al-yolawi, who is the Chief Imam of Area 10 Mosque, made the call while delivering Jumma’at sermon title:“ Essential tips for Hajj Preparations“ on Friday in Abuja. “An intending pilgrim should settle his debts and leave behind him a clear record as well as writing all his wills or what he intends to pass to his family,’’ he said. According to the cleric, the need to leave a will behind is because the journey to Holy land may be the final journey for a pilgrim. He explained that hajj was a unique and extra ordinary journey in the life time of all pilgrims, adding that it was an invitation from Allah to the most famous acts of worship. The cleric said that journey to hajj required high level of patience as it was always accompanied with difficulties, fatigue, physical and social abnormalities as well as intolerance from other pilgrims. “One should not allow Shaitan (devil) to hijack him and spoil his hajj out of ignorance or annoyance,” he said. Mr. Al-Yolawi said there was need for pilgrims to fulfill all the hajj requirements and avoid all things that would nullify his hajj rites with a view to getting all the spiritual benefits of pilgrimage. “This emphasises on the importance of piety as first ingredient of one’s journey to Mecca, which means to maintain good relationship with your Lord by devoting yourself to obey him. “The intention behind one’s journey to hajj must be for the sake of Allah alone as whoever performs any act of worship in order to please people or gain popularity has spoilt his action. “Prophets Muhammad (peace be upon him) said: learn your rituals from me, for I do not know whether I would be performing Hajj after this Hajj of mine,” (Muslim Hadith no 1297). Mr. Al-Yolawi admonished pilgrims to ensure that their sources of finance and other materials things were clean and legitimate because “Allah accepts only that which is pure’’. He also warned pilgrims against taking photographs for whatever purpose while observing hajj rite, saying that such action could contradict pilgrims’ sincerity of performing hajj for the sake of Allah. Similarly, the cleric said women having their monthly period should be in a state of Ihram when they pass the Miqat, adding that they should shower and do Talbiyah like everyone else. Mr. Al-Yolawi, therefore, prayed to Allah to continue to protect Islam and safeguard Nigerian pilgrims as they take off to Saudi Arabia. “May the Lord accept their Hajj, prayers, grant their supplications and bring them back to us safely and peacefully,’’ he said.